…but I don’t think I’m ready to go yet. My guess is sometime next week, and boy for anyone who is keeping track. I made myself a new diaper bag. 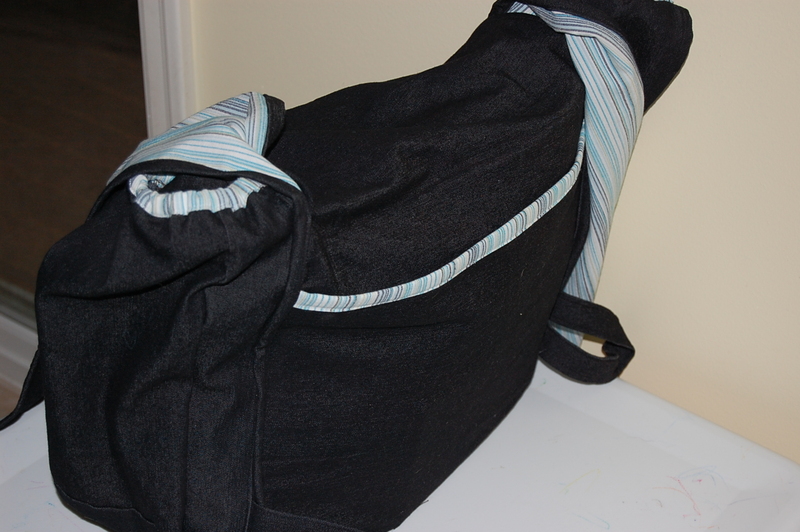 It’s a DIY onbag, a lovely lady in the UK designed the bag specifically for babywearing. 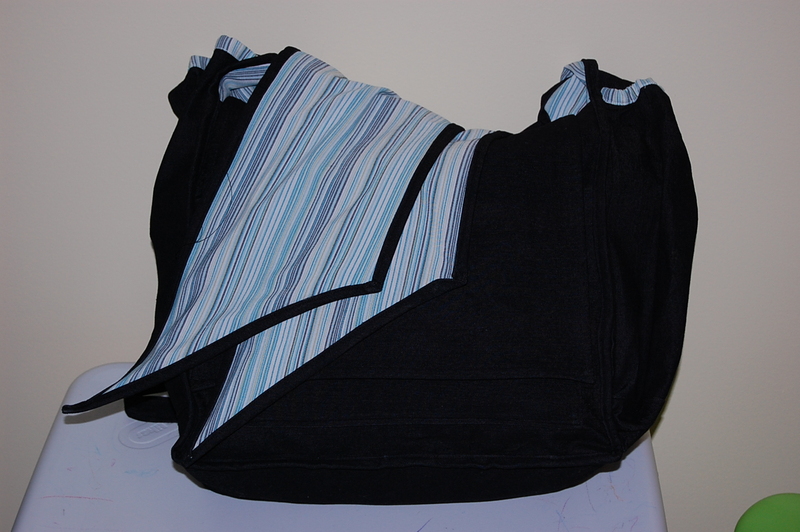 It is all soft with no hard parts so it is comfortable to wear while wearing your baby. She was even kind enough to share some DIY instructions for those of us who loved the bag and wanted to make it ourselves. “The Onbag is large enough to hold everything you need and, because it has no hard parts, your baby can comfortably sleep on the strap or rest a leg against it. You can wear an Onbag as a rucksack, shoulder or cross-body bag. You can even arrange the straps over your baby. It is certainly big, but I think big is what I need to pack cloth for both baby and Isaac. Since we didn’t have any available appropriate sized bags for the hospital, I’ve packed this one. I altered the pattern a little bit. I made one of the side pockets larger to accommodate my water bottle. 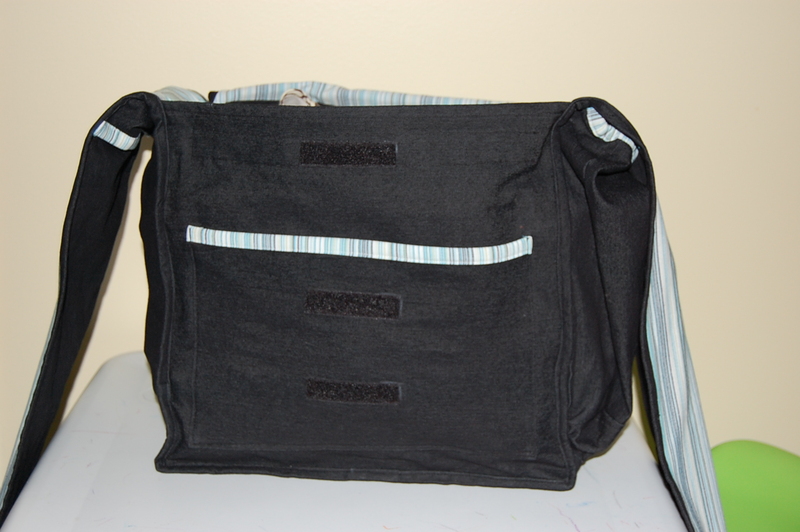 I also added a large pocket on the back with no closure as I find the one on my smaller diaper bag very useful for holding papers when we fly. I’ll have to use it a few times before I decided how well it works and what I want to do different next time. For now, I’m pretty happy with how it turned out. I would like to add something to the front flap as it’s pretty boring right now, but I didn’t have any really inspired ideas so it will wait for now. 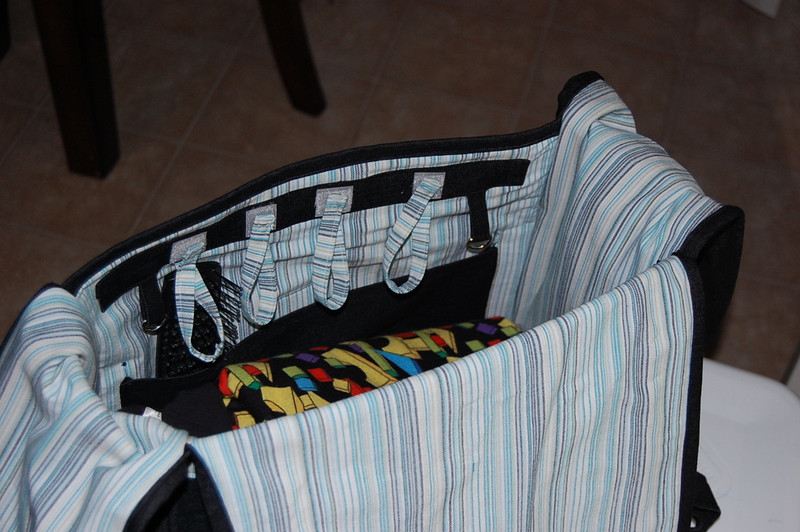 There are three pieces of velcro on the front for different closing options depending on how full your bag is. Right now the bag has two baby outfits, some little hats, two receiving blankets, two nursing tanks, my toiletries, some little baby mitts, some snacks and other little bits and bobs. I think it will serve me well to accommodate everything I’ll need for baby and Isaac and I in the coming months. Love it! Once again I am regretting the fact that I dropped out of sewing after my 6 week course in grade 8. Having a customized bag would be brilliant. Can’t wait to find out whether you will be filling it with girl or boy gear…. Seriously, you are one of the most talented people I know! I am super jealous of your skills! What a cool looking bag and I am really impressed with how professionaly it looks!